The Soviet medium tank T-34-76 with the “improved” turret at the military maneuvers of the Moscow military district. 1946 year. The turret without the commander’s turret, and hence the tank was produced until the summer of 1943. 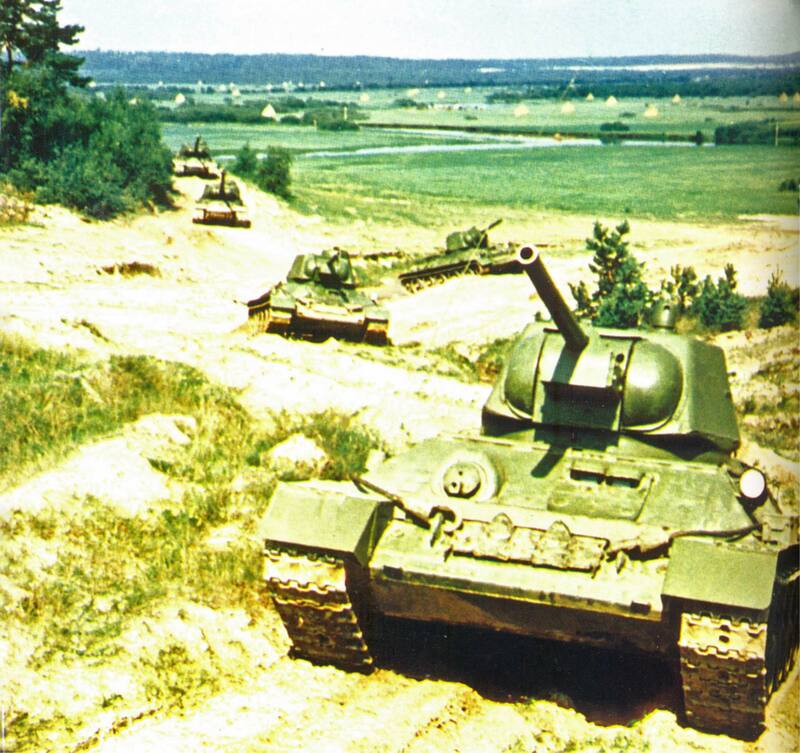 In the background, two more T-34-76 tanks and two JS-2 heavy tanks.